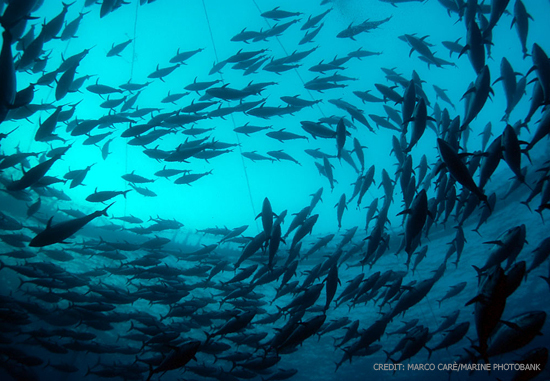 Offshore aquaculture solves old problems but creates new ones. Farming in the open sea is very demanding. Global aquaculture has to face some major challenges in the coming years. On the one hand it has to produce more fish and seafood to meet the rising needs of a growing world population. And on the other hand we are already now reaching the limits of what the available locations can offer for new farms. One way out of this dilemma would be to shift farming into the offshore region but this necessitates new concepts, independent systems, more robust technology – and more risk capital. 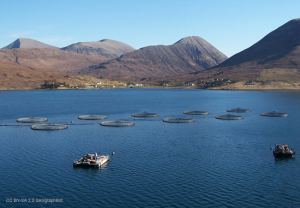 Anyone who has followed developments in the aquaculture sector in recent years will likely have realised that there is no way around the expansion of mariculture and the shifting of farming from the relatively protected coastal zones into the offshore region. At present, most of the fish that are produced in aquaculture come from land-based ponds and tanks or from net cages that float in rivers and freshwater lakes. Nearly 88% of the total volume of farmed fish are freshwater species! The only aquaculture segment in which marine species dominate is molluscs. But producing fish in the sea is currently still not a satisfactory solution. Up to now it has been carried out almost without exception directly off the coasts which in many places leads to conflicts with other potential user groups such as tourism, shipping, fishing, energy industry and others. Although some real marine farms have already been set up, offshore aquaculture continues to be a haven for dreamers and visionaries who with their sometimes quirky ideas awaken interest and fascinate the public. One only has to think of the popular and frequently rumoured utopia described in media reports: ocean enclosures that drift freely between the continents, stocked with fry months ago and now full of fish that are ready to harvest in some far-away place. Unfortunately journalists hardly seem to question the feasibility of such scenarios, for example whether the effort, costs and benefits of these systems are in reasonable proportion to each other, who is liable for the damages in the event of accidents or wreckage and, indeed, whether it is possible at all to insure such facilities. Not to mention problems of feeding the fishes, checking and controlling their growth. A lot of the problems of offshore aquaculture are still unsolved. And there is as yet no satisfactory answer to many of them. One of the illusions that persists, for example, is that through moving into the offshore area aquaculture will be able to get around many of the problems that currently exist due to its present location close to the coast. This might be true in certain regions but in many areas there is already severe competition for “offshore” locations. Offshore aquaculture is more than the mere relocation of the current farms to areas that are further away from the coasts. It is a paradigm shift that requires a huge research and development effort, and it is costly. As with almost any new technology, mistakes will be difficult to avoid in the initial phase and this will have to be accepted by society. The risk of financial loss is much higher than in current aquaculture, it can take much longer for a commitment to pay off for the investor. Offshore technology has to be robust, independent and affordable. A lot of technology manufacturers favour spherical net cages for offshore regions because these constructions are particularly stable and have an optimal surface/volume ratio. However, they are mostly relatively expensive and also rather heavy which makes handling and maintenance of the facilities as well as the control and care of the fish stock more difficult. One Response to "The Challenges of Offshore Aquaculture"
Multi-functional use of offshore waters can lead to more sustainable aquaculture “in areas that can be simultaneously used for other activities such as energy production”.